Serbian villages are disappearing. Back in 2012, the Serbian Academy of Sciences warned of the alarming demographic data about Serbia, which shows that a quarter of rural settlements in our country will vanish. These data also say that out 4,700 villages in Serbia, 1,200 of them will disappear in the next fifteen years. More than 1,000 villages have fewer than 100 inhabitants, and 200 have no inhabitants under the age of 20. Four hundred villages do not have a shop, and more than 200 do not have a school. Can people live in such an environment, and, if they can, how so? Although this information has been released a long time ago, very few people have tried to solve the problem of rural Serbia. And even when there were sporadic attempts to do so, they were mostly based on the wrong premises. Agriculture, as a basic farming activity, is usually treated as a social, rather than an economic category. Cooperatives, as a way to boost a village, were treated as a gathering place for farmers, but not as a place where they can acquire knowledge and create a market. That is why, over the past years, the only thing that was done was to admit that villages were dying out, and in turn, that also meant the demise of Serbia. A different project was started to be implemented late last year. Delta Holding’s has launched a campaign called “Our Village”. The underlying idea was to demonstrate, in selected locations, how agricultural production could be improved, and as a result, revive villages to resemble those in developed countries – Slovenia, Italy, Austria, etc. 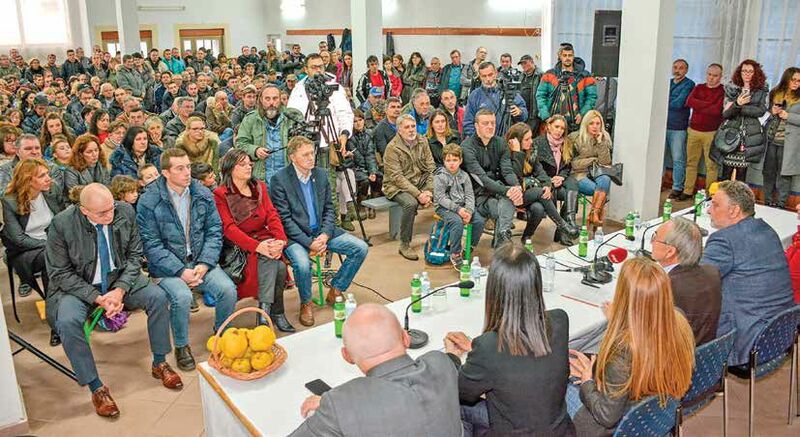 After several months of research, Delta decided to take two villages in Eastern Serbia, in the Zaječar municipality, under its wing. These were the villages of Dubočane and Mala Jasikova. 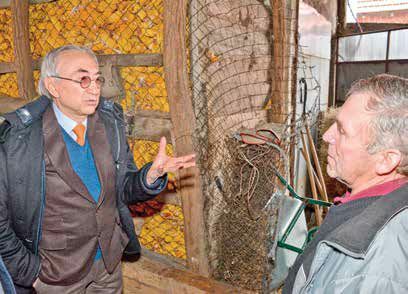 In these villages, and with the full-fledged support from Zaječar authorities, a complex campaign was launched which entailed modernizing agricultural production, as well as restoring social and cultural life. „We are dealing with a huge problem – that is the disappearance of our villages. If they disappear, Serbia disappears too,” said Delta’s President, Miroslav Mišković while visiting the two villages where he spoke with the villagers and invited them to join the Our Village project. “The most important thing that we, in Delta, will provide is the knowledge. You will see for yourself how much our suggestions differ to what has been done so far. In the past, when wheat yield was low, the wheat price went up and the farmer earned almost the same amount of money. Today everything has moved to the global stock market. When wheat yield in Serbia drops, the wheat price on the global stock markets still remains the same, but the loss that farmers feel is huge,” Mr. Mišković added. A total of 45 households registered for the project’s first phase – 23 are engaged in cattle breeding and 22 in fruit growing. The project started with the education about the contemporary agricultural production, because knowledge is the basis of profitable and successful agriculture. The villagers first visited the properties of Delta Agrar in Čelarevo and Stara Pazova. They could see the stateof- the-art apple orchards spanning over 500 hectares, with drip irrigation systems, anti-hail protection nets and frost protection system. They visited pig farms where animals are kept in almost sterile conditions, and the results of these farms stand shoulder-to shoulder with the best European ones. The education continued in their respective villages, where the Delta Foundation first renovated the premises of local communities, cleaned them up, and provided heat so that they could serve as efficient classrooms for presentations and lectures. Since then, week-on-week, these premises have been used by lecturers and students who have been learning about cooperatives, plant protection, drawing up a business plan, funding opportunities for agricultural production and many topics that are important to farmers. The project participants say that the completely new perspectives have opened up to them. Based on the first information, they have changed the way they feed their livestock, and they use different methods for pruning fruit trees, while crucial changes are yet to follow. Nenad Stanojević is one of the villagers who has 20 cows and has registered to participate in the Our Village project. „We have been doing cattle breeding the way our forefathers did it. We are shocked to find out how by using a different feed method and different, more affordable stables, we can increase the milk yield. I intend to buy more cows, and I am already thinking of getting cows of different breed because Delta has cows that give much more milk than ours,” Nenad explained. The average age of a Serbian villager is quite high. Luckily, there are younger villagers in Dubočane and Mala Jasikova, and even school children in lower grades. Also, there are quite a few women who not only live off agricultural production, but also show great interest in becoming entrepreneurs and advancing their business. Nevenka Joncić is one of the women who breed cattle. She is apt at driving both tractors and combine harvesters, and is proud that her two children, who go to school, prefer working in the field to playing video games. Some of the people who have never been seriously engaged in agriculture are now preparing to launch their own agricultural production. Delta likes to single out the sustainability of this project. 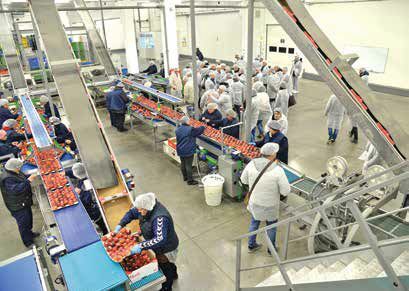 The company picked agriculture for their project, because agriculture is their core business and the company can transfer the best knowledge from that segment to its new collaborators. “Our Village” is a sustainable project in the long run. Its goal is to empower the villagers Dubočane and Mala Jasikova, boost their production and make them able to market themselves so their families and the entire village will live a better life. A plan that has the broadest social significance has been selected, as demographic research shows that hundreds of villages have been deserted because their population sought better living conditions elsewhere. They were on search not only for higher income, but better living conditions for their families. There are no major cultural events in these villages, there is no social life, the roads are bad, and the Internet and mobile phone signal is weak. This is the reason why a segment of Delta’s campaign focuses on reviving social and cultural life in the two villages. The first such event was a New Year’s Eve play by the Zaječar Theatre. Many villagers have admitted that that was the first time that a play had been staged in their culture centre. We won’t even go into the joy that children felt when they saw Santa Claus coming to their village. Under the auspices of the project, the plan is to also restore local schools, and open playhouses, clubs and other premises where villagers would socialize and spend quality time together. Delta’s campaign already enjoys a strong support in the community. Local authorities in Zaječar welcomed the idea with open arms. Erste Bank joined in with its agricultural credit line which will enable villagers to obtain funds for their investments under very favourable terms and conditions. The Chamber of Commerce and Industry of Serbia has also joined the project team and will educate villagers about accessing domestic and international funds. The Keramika Company from Kanjiža helped the reconstruction of two halls in culture centres. Several other large domestic and foreign companies in Serbia have also expressed their wish to join in. The long-term goal of the Our Village campaign is to stop the migration of the villagers from these areas, since many of them already work in Western Europe, or workers from Zaječar and the nearby cities in Eastern Serbia. When they see for themselves that they can live off their work in their village, and that the life here is decent and comfortable, then migrations might go in the opposite direction.